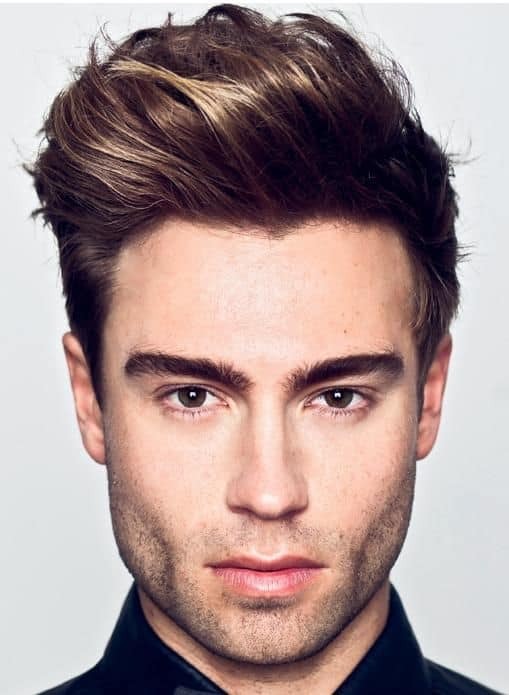 A high volume quiff is ideal for drawing out incredibly prominent features. The look is perfect for men with rounder faces. With the hair on the sides not being cropped the quiff blends into the sides very naturally, brushing the hair of the sides along with the quiff on one end adds an asymmetrical touch to the look.